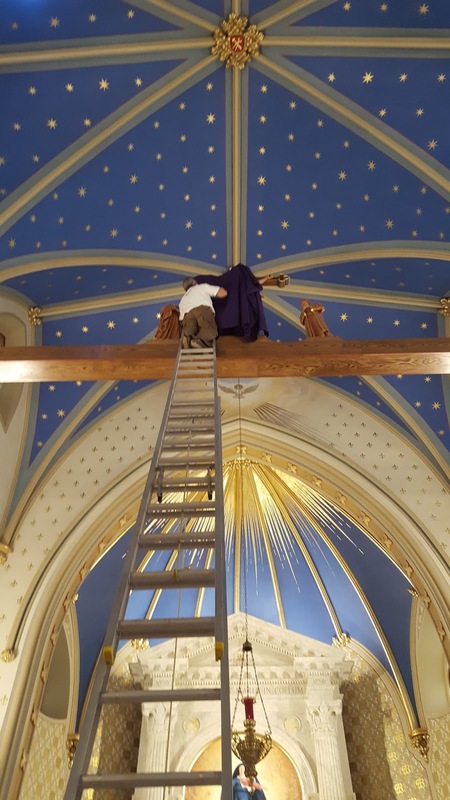 This has consistently proved one of our most popular photopost series; last year, we received so many pictures that we wound up making four separate posts of them, with over 100 photographs from nearly 50 different churches around the world! 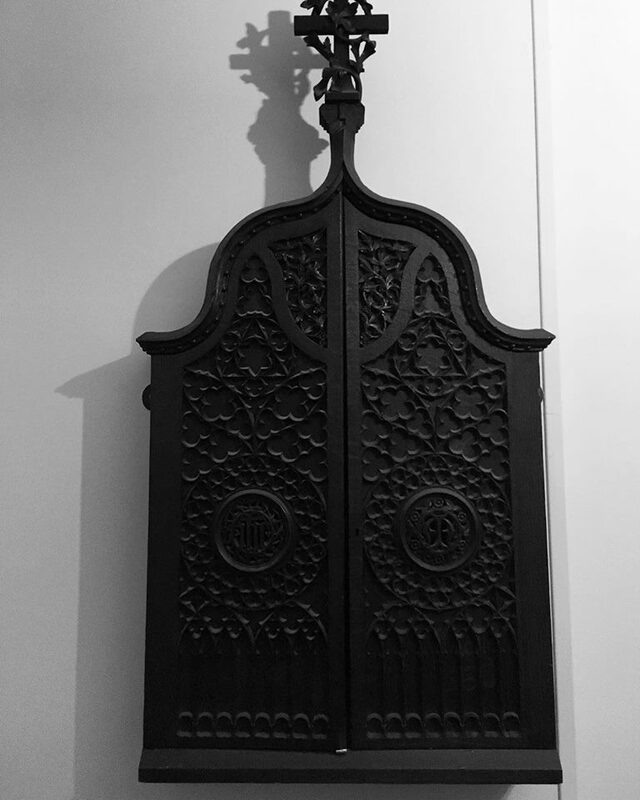 We always include in these requests a photo or two of the previous year’s post on the same subject; here is a bit of retrospective with some of the unique things from each of the four. From Part 2: Individual veils for lots of tiny statues in the Chapel of St Joseph, in the church of the Immaculate Conception, Port Perry, Ontario. From Part 3: An altarpiece with its wings closed, an extremely common custom in the Middle Ages; from St Dominic’s Church and Shrine of the Holy Rosary, in London, England. 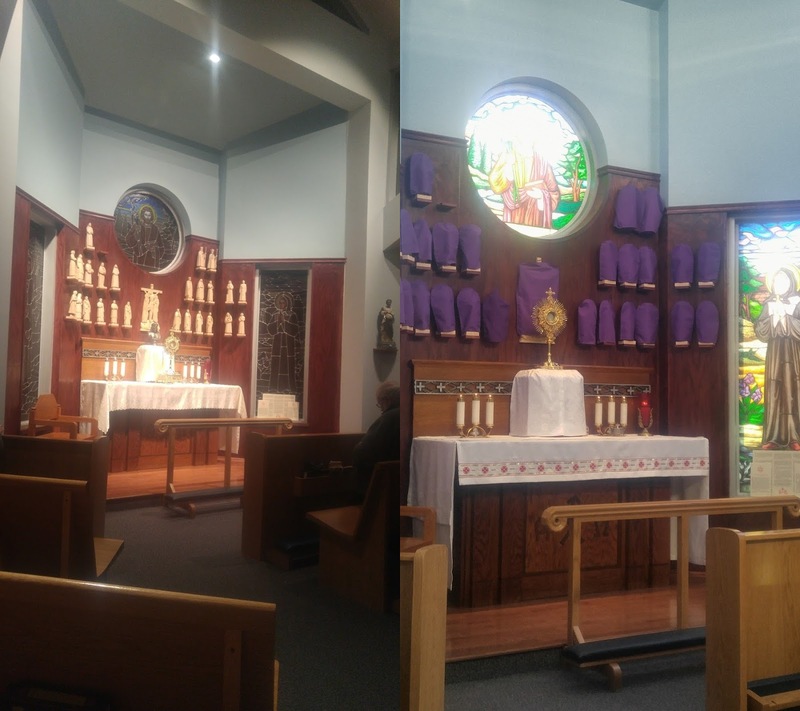 From Part 4: The smallest veiled cross we’ve ever shown in one of these posts, just barely visible over the central altar card. 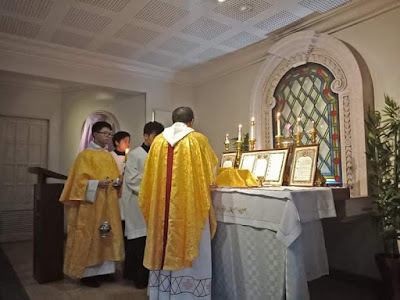 This Mass was celebrated at St Andrew’s School in Parañaque City in the Philippine Islands, on the feast of St Benedict by the Benedictine chaplain; hence the gold vestments and the tunicled server, a Spanish custom adopted by the Filipinos.